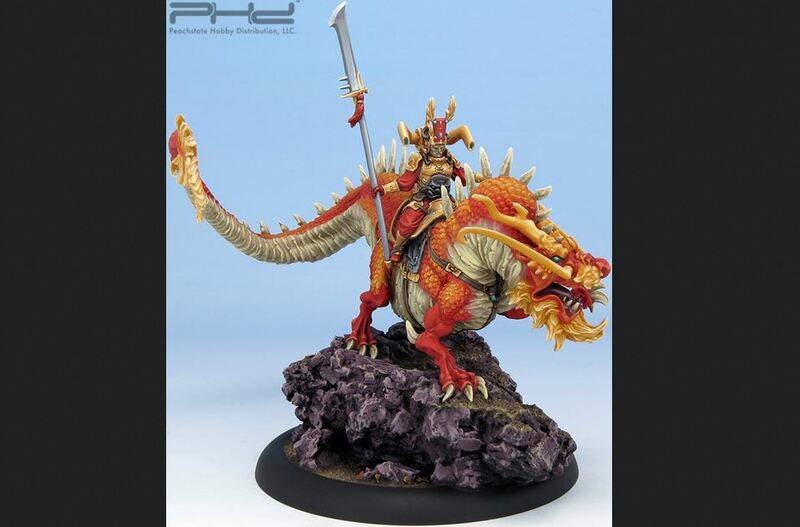 CMON has announced a new game that they will be releasing next year. Originally announced by Space Cowboy, CMON has entered into an agreement to make Victorian Masterminds. In it, players will be some of history's most evil masterminds, who are seizing on the opportunity created by Sherlock Holmes' disappearance. But there's still the Secret Service to contend with. Will one of the masterminds take over the world? Will the Secret Service be able to stop them? That's up to you to decide. Sherlock Holmes was the greatest detective ever (... well... at least next to Batman). If you're looking to fit in his shoes and head to the streets of London, solving all sorts of cases, you're in luck Asmodee and Space Cowboy have announced that they're coming out with 10 new mysteries for Sherlock Holmes: Consulting Detective. You find yourself in a dark and spooky house. Lightning strikes outside, briefly illuminating your surroundings. You start to hear strange noises from somewhere in the house. You run. You trip. You hit your head. And that's when you wake up inside a submarine, deep underwater. The hull is creaking. Water is seeping in. You need to find a way out! You go from one room to the next, but bang your head on a portal as you go through. You wake up on a beach. It seems nice and pleasant, until a cutlass is pointed at your face and you realize you're surrounded by pirates! Those three adventures are the next in the Unlock! series of "escape room"-style games coming from Asmodee and Space Cowboys. 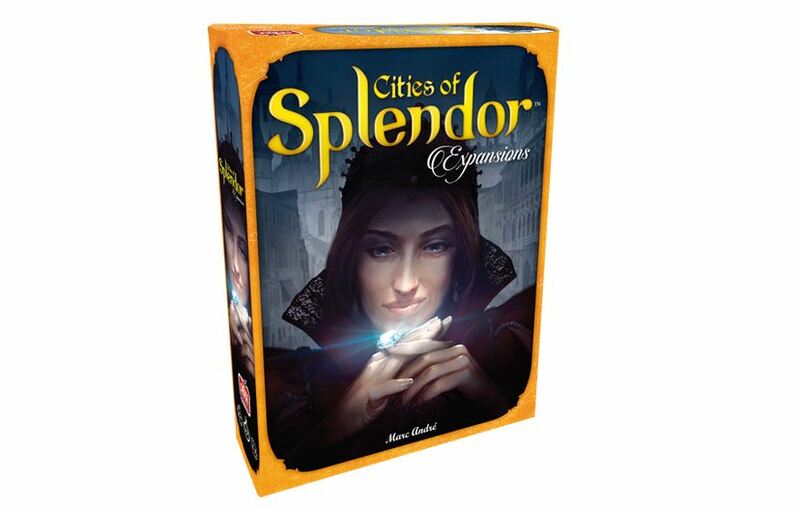 Many of you have played Splendor. Many of you have thoroughly enjoyed it (considering all the accolades it's gotten). But, perhaps, over time, you've grown too familiar with the game. It's good, but it could use something new added. Well, Asmodee and Space Cowboy are here to help with the Cities of Splendor expansions for the game. Yes, "expansions." This one box is actually four expansions in one. Pick and choose which to add to the game to create whole new experiences each time you play. 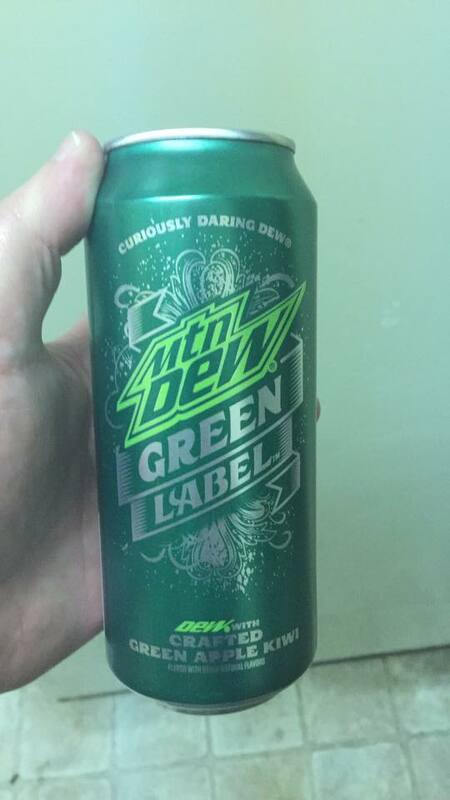 Anyway, I know what you're all here for isn't my choice of fizzy beverage, but for reviews. So let's get to it. Today we have: Realm-Master, Unlock, WizKids Unpainted Miniatures, Arkham Horror The Card Game, Bushi No Yume, Ronin, Element, Guns & Steel: Renaissance, Bloc by Bloc, The Oracle of Delphi, Dragoon: The Rogue and Barbarian Expansion, RPG Coasters, Kingsport Festival: The Card Game, Running With the Bulls, Magic Maze, Faith: A Garden in Hell, and Moons. Sherlock Holmes is arguably the greatest detective ever created. Jack the Ripper is one of the most notorious serial killers in history (who may or may not have even really existed). Pit one against the other and you're sure to have a "what if" for the ages. 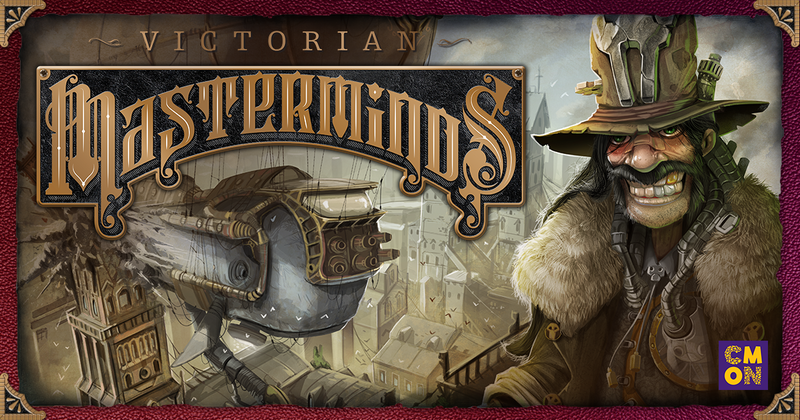 That's just what you get to do in Jack the Ripper & West End Adventures, which is now available for Sherlock Holmes: Consulting Detective from Asmodee and Space Cowboys. The clock is ticking. Time is running out. You've got to escape. You're not entirely sure what happens when the timer hits 0, but you'd rather not find out. Thankfully, there's plenty of clues and hints to help you figure out what the escape combination is. Now... you've just gotta figure out what all those esoteric items and clues mean. Get it right and get out. Get it wrong and time will only keep marching on. That's the story behind Unlock!, a set of cooperative card games coming from Asmodee and Space Cowboy. Sherlock Holmes is widely known as one of the best detectives that has ever graced the literary world (along with Batman, of course). He got that way because he was able to solve difficult cases faster than anyone else by using his intuition as well as a very keen mind and attention to detail. But can you solve cases faster? That's just what you'll be trying to do in Watson & Holmes, coming soon from Asmodee and Space Cowboys, which is being adapted from a limited release by Ludonova (released last fall). Well, thankfully that mess is over. That was quite a horrid time, amirite? But that's done with and we can finally get busy making Nebula Valley back into the shining, lively, bustling place it used to be. First, we gotta get some resources to rebuild our buildings. Of course, that means we've gotta head out into the meadows where unknown things still might lurk. Uh... you go first. 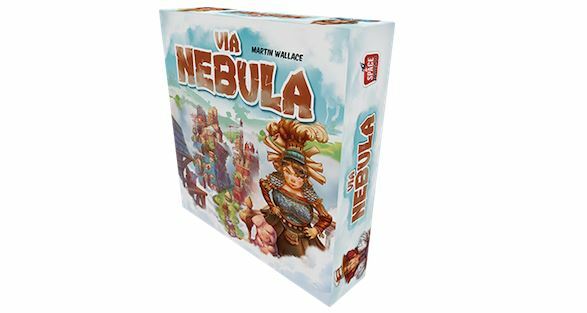 That's the story behind Via Nebula, a new game from Asmodee and Space Cowboys. With this post, we'll have absolutely everything caught up since before Gen Con. We've had some Snippets. We've had some Terrain Corners. We've had a Podcast Roundup. Now it's just time to go through the reviews. 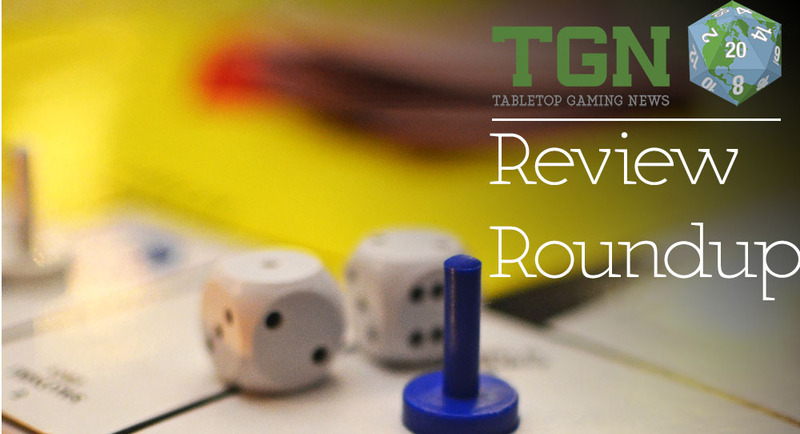 So without further ado, here's your Saturday Review Roundup. In this batch we have reviews/previews of: Sentinel Tactics Uprising Expansion, Marvel Dice Masters: Age of Ultron, Batman Fluxx, Codenames, Carcassonne, Arctic Scavengers: Recon, Elysium, Kahuna, King's Ransom Deluxe, Machi Koro, Machi Koro Harbor Expansion, Systema Gaming Base-0 Habitat Units 1 and 2, and Die Waffenkammer's T-34/76. The order of days has progressed as it always does and we once more find ourselves deposited in Saturday. It's certainly my favorite day of the week. As this gets posted, I'm working on putting minis together. That activity is my favorite part of the entire gaming hobby. As such, I'm having a really good day. Hopefully you are, too. But to the business at hand: reviews of games. Today's batch includes reviews/previews of: Splendor App, Ticket to Ride: Alvin and Dexter, Rhino Hero, Word on the Street, Awkward Family Photos, Traders of Osaka, Blood Rage, and Dawn of the Zeds 3rd edition. Welcome, friends, to Saturday. Another week is over and it's time to relax with some gaming. When this posts, I'll be in the middle of a D&D session. The current DM and I are gonna tag out once more and I'm gonna take back over the campaign. Of course, that leaves my character I was playing. I've told the other DM I want him to go out in a blaze of glory. So we'll see what happens. Anyway, we've collected together a bunch of review articles we've come across and present them to you here now.